Musings of a Pertinacious Papist: Come to Norcia, Italy, for two weeks this July! 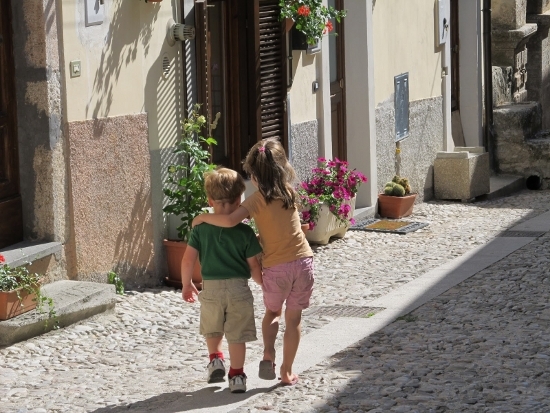 Come to Norcia, Italy, for two weeks this July! While you're there, study St. Paul's Letter to the Hebrews, and enjoy visiting Italy! See the Summer Program for 2016, "The Transcendent Christ: St. Paul's Letter to the Hebrews" Albertus Magnus Center for Scholastic Studies. Participate in a seminar, and hear lectures by the 'masters' of theology, who are this year members of the monastery of St. Benedict in Norcia, with a keynote by Fr. Cassian Folsom. Cost is only 900 Euros, with texts included. 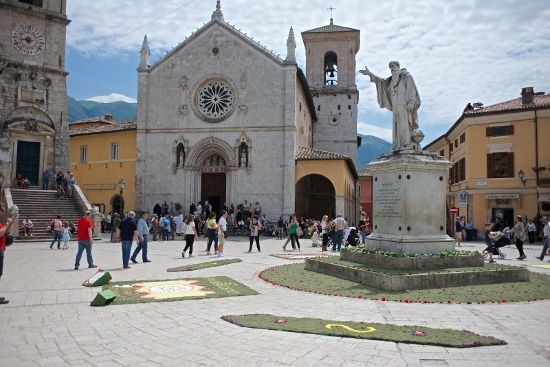 Norcia is a small town in the beautiful mountain region of southeastern Umbria near Perugia. Registration deadline is May 16, 2016. Also, see the photographs posted HERE, including images of the local wine of choice. You've convinced me that you may have a case re Cushingism, but this fly in the ointment hardly spoils the whole jar if you throw it out. If one can learn a great deal from ancient pagans, as St. Thomas Aquinas learned from Aristotle, one can certainly learn for Thomist scholars with whom one may have a serious disagreement about one point. I appreciate your concern. But I also trust you appreciate mine. Otherwise we'd have to throw out most everything in our libraries and nearly everyone in the Catholic hierarchy today and listen to just you, which could become a bit monotonous, as invaluably important as your abiding theme is. And I wouldn't want you to become monotonous. Would you not agree? Los Angeles Churches Make Worship ... Hip? Catholic and Enjoying It Struggling? Justice Antonin Scalia (1936-2016) - R.I.P. Books Ignatius Press declined to publish?